Ocean jasper from Madagascar set in a hammer textured band. Please specify ring size and the stone number you would like. Each stone is one of a kind. 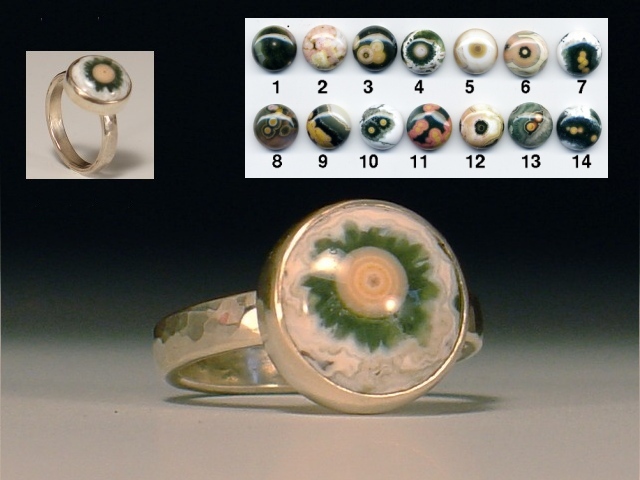 The finished ring pictured is not available.